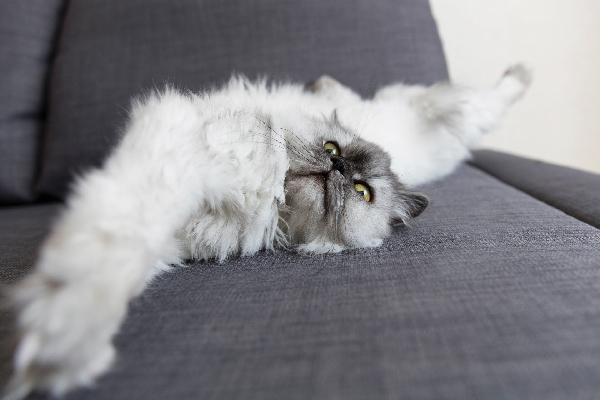 Compared to the cost of other pets, cat ownership can be relatively low-priced. They are generally less expensive than dogs and considerably less expensive than owning a horse. (Like a Lear jet, if you have to ask how much it costs to own a horse, you probably can’t afford one.) Please note that as of 2009 there is no such thing as a “free kitten” anymore for responsible pet owners. Knowing about the cost ranges in advance can help make the transition to being a proud cat person much easier. The initial expense for cat ownership depends on whether you are adopting or purchasing a purebred cat. Obviously the latter is going to cost a great deal more. Purebred, or pedigree cats – i.e. Persian, Siamese, British Shorthair, Sphynx – can range from $500 to $1,000 or possibly more, if a cat is show quality. Purebred kittens are generally more expensive than adult cats. Adopting a cat is a much more realistic process for the potential cat owner on a budget. Costs for adopting a kitten range from a low of $40 or $50 (health exam and shots only), to a high of $150 to $200 if the shelter requires spaying or neutering. Most reliable animal shelters will insist that the animal be sterilized. It will generally be less expensive to have that service provided by a shelter than to wait and pay for it on your own at a private veterinary clinic, where the procedure could cost between $100 and $200. Spaying a female cat will cost slightly more than neutering a male because it is a more invasive process. OK, now you’ve spent almost a hundred dollars and you haven’t even gotten little Cream Puff home yet. That part of this journey to cat ownership will require the purchase of a cat carrier. Most cats dislike car rides immensely and you want to minimize the potential for a kitten to end up clinging to your head or steering wheel while you’re driving. A basic plastic cat carrier will run around $35. You might spend more for the new wheeled versions, which are similar to rolling backpacks with handles. One way to economize on this expense is to look for items at a big box store. For the frugal potential cat owner, Target (or another large chain store) may offer a better deal for cat accessories than your local pet store chain, although you will probably find a wider selection of items at the pet store. Ongoing veterinary bills for your new addition will include costs for vaccinations, exams, dental procedures and flea control. They can run anywhere from $150 to $300 and generally increase as your cat gets older. Some people are opting for pet insurance as a way to manage expensive animal hospital and veterinary clinic costs. If you have several cats, this can be the most economical option and it is becoming more common as vet prices increase. A quick search on the web will yield multiple providers, including VPI, Purina Care and ASPCA pet insurance. Please note these are the average costs to provide a caring and responsible environment for your new cat. Additional items such as cat beds, food bowls and treats can be added to the bill, but they are not essentials for a happy cat. You can spend up to $200 for a fancy striped cat bed that looks like a miniature sofa out of Better Homes and Gardens, but your kitty will most likely prefer kicking you out of the old family recliner. Remember, these are approximate cat care costs for a mid to large sized urban area in the U.S. Depending on what part of the country you live in, costs could be significantly less. The best things in life are not always free, but if you shop around and plan carefully, owning a cat can be delightful and affordable. If you are like most folks, the challenge will be to reign in the impulse to spoil your kitten. Got your eye on that 6 foot tall, shag carpet covered combination cat scratch pole and condo tower? It will cost you about $179. Or you could just bring home a feather on a stick with equal results!